"First of all Thanks to you both so much for teaching the basics of making dentures on this video. After months of studying your video I finally completed mine on the third trial. These I made are so much better than the ones the dental offices made for me. My pair is far from perfect but at least now I have a full set of dentures, fine looking and nicely fitting that don't feel like a torture device anymore. Thanks again." 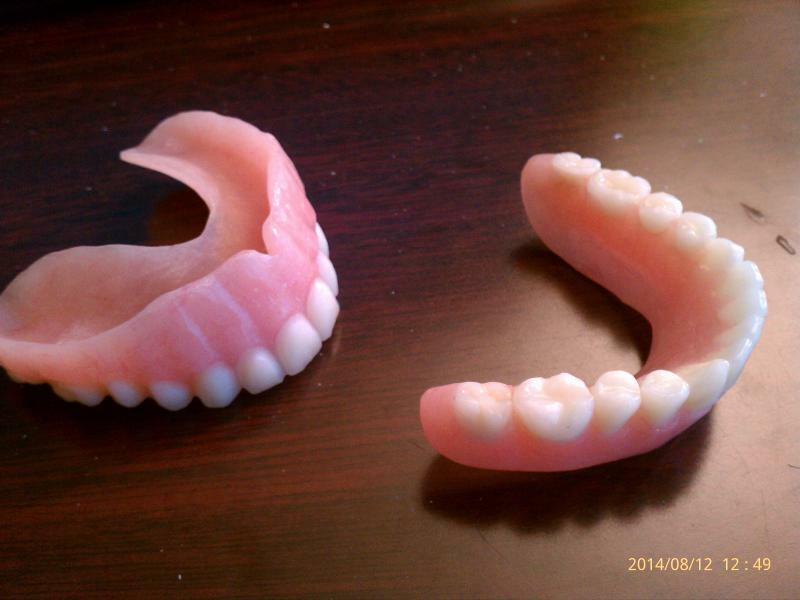 "For less than $100 I made 3 full sets of very nice dentures." "The first set of dentures I made did not work. Then I made my second set and got an excellent job, plus I now understand how to make dentures fit properly and they feel great." "I paid alot of money to have dentures made that did not fit properly. After several visits the dentist told me to use denture cream to make them fit properly. I bought this video and took those dentures and relined them myself and now they feel great. I have not yet made an actual denture, but plan to soon." "Me and my wife met the Rhyne's while we were sailing in the Bahamas. Just like the Rhyne's, both me and my wife have dentures. We bought one of Garry's kits and learned how to make our own. Not only do we make our dentures but since we live on a boat, we make and repair other people's dentures that we meet, and make a little bit of extra spending money." "Not as hard as we thought it would be. Can't believe I paid so much money to a dentist when I can do this myself."